It's hard to believe how different the world was two years ago. 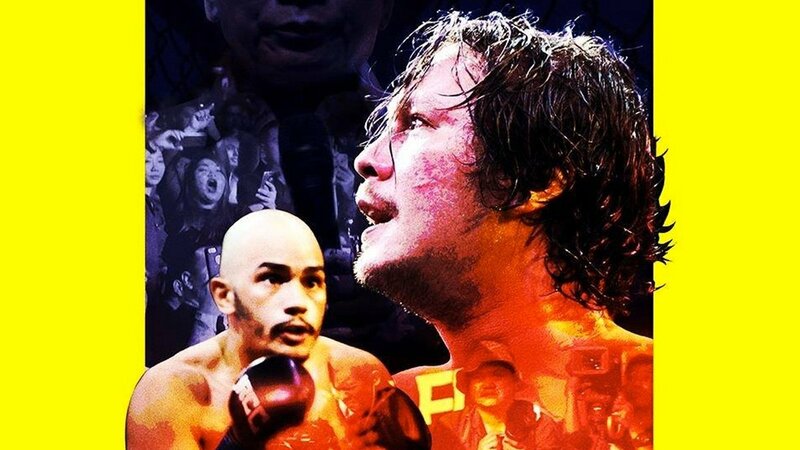 President Rodrigo Duterte had just taken his oath of office, Instagram Stories was just about to become a thing, and everyone was intermitently fixated with 2016's biggest Pinoy celebrity feud: Baron Geisler versus Kiko Matos. Of course, we know now that it was all a ruse—an elaborate "social experiment" that started with a scuffle at Tomatokick and ended with a draw inside the octagon of the Universal Reality Combat Championship. That much was revealed towards the end of 2016. Still, there was a strange satisfaction in having seen it all unfold. Filipinos watched idly as Geisler and Matos took turns calling each other out, and we all gawked when Matos appeared to spray his own urine at Geisler during their URCC weigh-in. It was often preposterous, but we couldn't get enough of it. Which brings us to the question: What was it all for? What was the "social experiment" all about, and what fruits did it bear? The answer is Beastmode, a hybrid documentary about the nature of violence in Filipino society. Yes, believe it or not, "bigwasan" was brought to bear as a form of scathing cultural commentary. Last weekend, we were able to catch an early screening of Beastmode, which was followed by a forum moderated by Atom Araullo. The small audience took time to digest the movie and its message, reflecting on what it really meant to say. Beastmode starts off with clips of President Duterte's 2017 State of the Nation Address. Protesters gathered for the simultaneous People's SONA, which the President himself infamously gatecrashed that year. 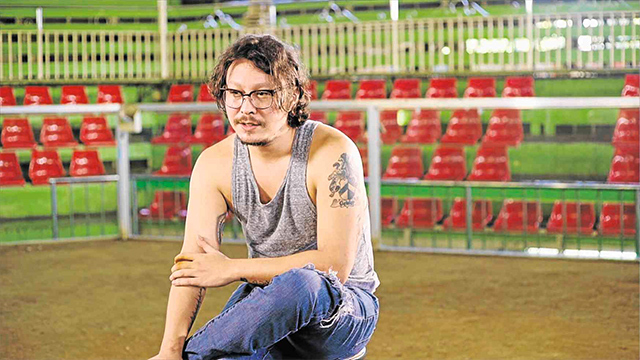 Then, the film cuts to the also-infamous viral video of Baron Geisler threatening and physically assaulting a student at the UP Diliman campus. This is its way of juxtaposing the experiment with our current political reality. It goes on to explain how the Geisler-Matos feud began: as an idea, a fascination with violence. Filmmaker Manuel Mesina III had never thrown a punch in his life, and so felt vaguely compelled to explore the nature of violence as a concept. At the time, it wasn't a fully-formed idea yet, but Mesina set out on it by organizing a real-life Fight Club: In a nondescript location, volunteers were given roughly 20 seconds to fight in front of an audience. After each brief brawl, participants and audience members would be asked to explain how they felt. This eventually gave birth to the formal experiment that we all know now: Geisler and Matos, both chosen for their personalities and controversial reputations, agreed to stage an altercation that would erupt into a feud, inflicting real Fight Club violence on each other throughout a series of fights. Through interviews with Geisler and Matos themselves, the film narrates the experiment. Its first focus was the aftermath of the Tomatokick scuffle, and how different narratives were spawned when the video went viral. Mainstream media picked it up in a heartbeat. On social media, commenters would come up with fake claims about how the fight started. Onlookers were quick to frame the violence with their own biases, but it was completely overlooked that the fight took place at a benefit gig for political prisoners in Mindanao. So here, Beastmode seemed to observe that violence is naturally fascinating, and when it becomes sensationalized, truth is a casualty. But the film takes its most interesting turn with the filmmakers lose control of it. Mesina and the production had intended for the feud to culminate with a fight between Geisler and Matos at UP Diliman, in front of a "No to Lumad Killings" mural. (Perhaps they wanted to drive the point home: people naturally prefer to see violence instead of non-violence.) But this never happened. Before they could stage their finale, Matos and Geisler were individually contacted by the URCC and asked to fight in the octagon. 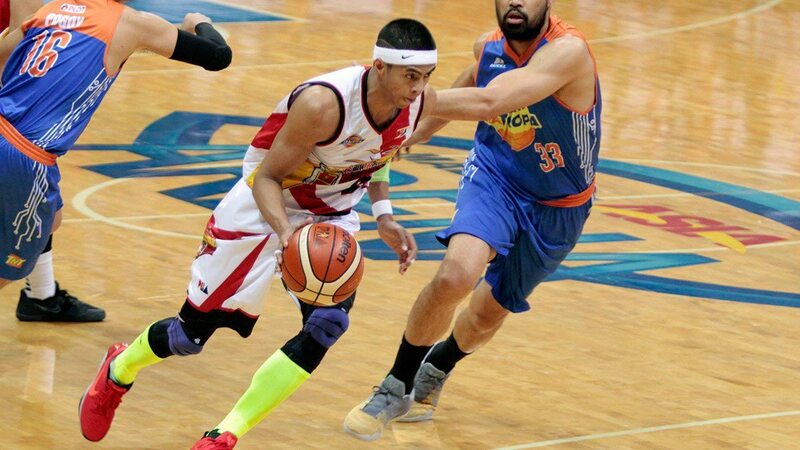 Against the directions given to them, both agreed to the URCC's offer. The production just had to play along. So in a series of events that could not have been predicted, Beastmode demonstrates violence begetting more violence, sensationalized and publicized on loop until it hit critical mass. The Geisler-Matos feud took on a life of its own, and in the end, we were all more than willing to be spectators, to cheer them on as they fought. To show the scale of the URCC fight, the film often focused on the audience and the A-list celebrities in attendance, and all the rabid fans who cheered as Geisler and Matos duked it out for no good reason. Perhaps in this way, Beastmode demonstrates how on a social level, violence is self-cultivating. The film ends on that worrisome note, stopping short of a formal prognosis or a proposed solution. Geisler and Matos never actually had ill feelings towards each other, even if they did throw real punches. President Duterte's drug war continues. People still fight on social media. Culturally and politically, violence is still a fixture of our times. Ultimately, Beastmode feels like an observation or a demonstration that throws a question out to its audience. After the fight club, the bigwasan, the pee spritz, and the octagon, it seems like the point of it all was to ask: Now that we're here and we know that this is who we are, what do we do about it? Catch Beastmode at UP Cine Adarna on Friday, July 27. Visit the film's official Facebook page for more information.